This is the second feature film from director Peter Weir, the first being the uneven but fitfully brilliant The Cars That Ate Paris in 1973. Though that movie was too scrappy to make Weir seem more than extremely promising, Picnic at Hanging Rock is something else: an absolute beauty, a movie entirely worthy of cult-classic status at the very least, and a major step forward for its director and, as far as I am able to tell from my very limited experience of it, for the Australian cinema. That so delicate and subtle a movie could be made at all in Australia, a land much associated with crass behaviour and cultural gaucherie, may surprise some. It’s not, after all, a film made there by outsiders, like Walkabout. That so beautiful-looking and technically fastidious a film could emerge from Australia certainly surprised me: all the (few) other indigenous Antipodean movies that I’ve seen, including The Cars That Ate Paris, were very rough-edged, tending towards muddy colour and threshing-machine cutting, the hallmarks of cheapo filmmaking. 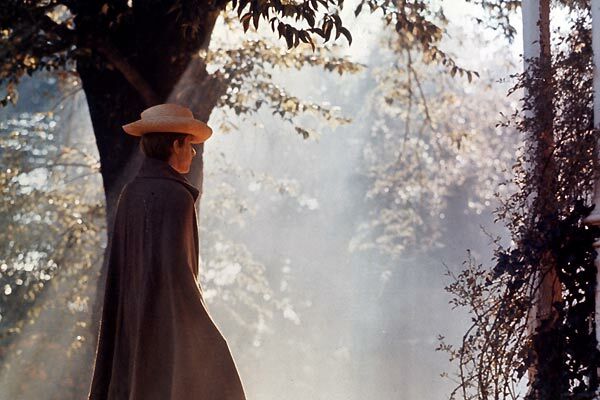 Picnic at Hanging Rock is gorgeous, richly textured, full of pellucid colours and images that tremble between tableau and hallucination. It draws us into its web of mysteries, not urgently, not insistently, but seductively. "Picnic at Hanging Rock" draws us into its web of mysteries, not urgently, not insistently,Â but seductively. Peter Weir was interviewed by Judith Kass in New York City on January 8, 1979, in connection with the U.S. opening of his new film The Last Wave. The Last Wave concerns a lawyer, played by Richard Chamberlain, who defends five aborigines accused of killing a sixth in Sydney, Australia. Through them Chamberlain comes in contact with what the aborigines call “dream time” and his own involvement with their myths. I thought he’d always been photographed in white light. When I think back to Kildare I think of those hot lights and I thought he’d never been photographed at night. I don’t mean that literally, but there was something in his face; there was some alien quality, and in my story my character had that quality. I had one actor in Australia I’d thought of using, but he was unavailable. Also, we couldn’t raise all the money in Australia and we were looking overseas, and Chamberlain’s name occurred to somebody and I remembered that face, those eyes in particular.